Organic beer is a relative newcomer to the organic food movement. 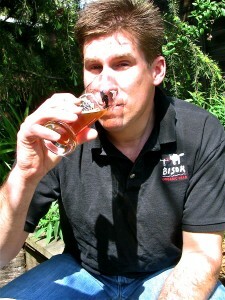 The first certified organic beer was brewed in 1999 by Eel River Brewing located just south of Eureka, CA. Over the next fifteen years, organic beer transformed from a curiosity to a movement itself within the larger American craft brewing revolution. Along the way, organic beer has become a real option for beer drinkers seeking beer for both health and environmental reasons due to its improved availability, price competitiveness, and yes, flavor. For Bison Brewing’s Daniel Del Grande, observing the destruction of duck habitats in California’s Central Valley due to farming irrigation in the 1980’s motivated him to seek organic alternatives. Selenium was accumulating in the soil and food chain causing deformity in duck embryos. 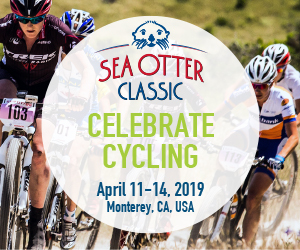 “Beginning with these experiences, I studied examples of how man-made ecological changes harmed the environment,” recalls Del Grande. “This caused me to support organic farmers. We have to farm, obviously, but let’s do it sustainably.” Del Grande purchased Bison Brewing in 1997. When organic malt became available to him in 2002, he quickly transformed his brewing into an all organic one. “I was already living 90% organic at home, why not the family business?” describes Del Grande in making the switch. Chad Brill checks the hops and patrons enjoy a unique, copper clad taproom (Santa Cruz Mountain Brewing). The ingredients used to brew organic beer, barley and hops, are grown without pesticides, herbicides, or chemical fertilizers. That means you won’t be ingesting any of those chemicals into your body when you drink it. It also means none of those chemicals are going into the eco-system to cause potential disruption and destruction. In more recent times, people have also turned to organic foods due to concerns about genetically modified organisms (GMOs). This can be a real concern as far as beer goes. Beers such as Budweiser, Coors, Corona, and Miller brewed by large, multinational brewing conglomerates use genetically modified corn or corn syrup as a partial substitute for barley. Beers brewed entirely with barley do not have any genetically modified component. That’s because genetically modified (GM) barley is not available and according to the American Malting Barley Association, will not be available in North America for at least ten years, citing “its low acreage compared to other major crops and limited seed sale potential, mixed views of barley end users on GM barley use, and substantial developmental and regulatory costs which may preclude recovering investment”. Other industry sources, including Sierra Nevada Brewing owner Ken Grossman, paint a similar picture. 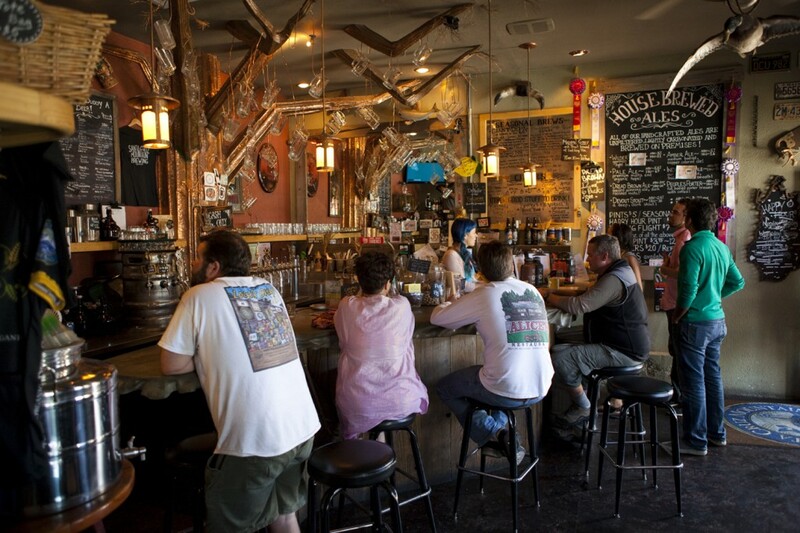 Patrons enjoy a unique, copper clad taproom (Santa Cruz Mountain Brewing). Thus, those opposing GMO’s can vote with their wallets, buying beer from organic breweries or breweries that oppose efforts to develop genetically modified barley. For much of its short history, organic beer didn’t need to be made with organic hops to be certified organic. That’s because the National Organic Standards Board (NOSB) exempted hops from organic certification, deeming them too difficult to obtain. This exemption caused some friction between organic brewers who brewed exclusively with organic ingredients and those that use non-organic hops. In the earliest days of organic beer, organic hops were only available from New Zealand or England, as very few organic hop farms existed in the United States. To rectify this shortage, Dan Del Grande sought ways to incentivize hop growers to start growing organic or expand their existing organic operations. “I would give US organic hop growers purchase orders for hundreds of pounds of hops even if they couldn’t deliver that much. I wanted them to see what was possible.” Del Grande also grew the market by organizing organic brewers. 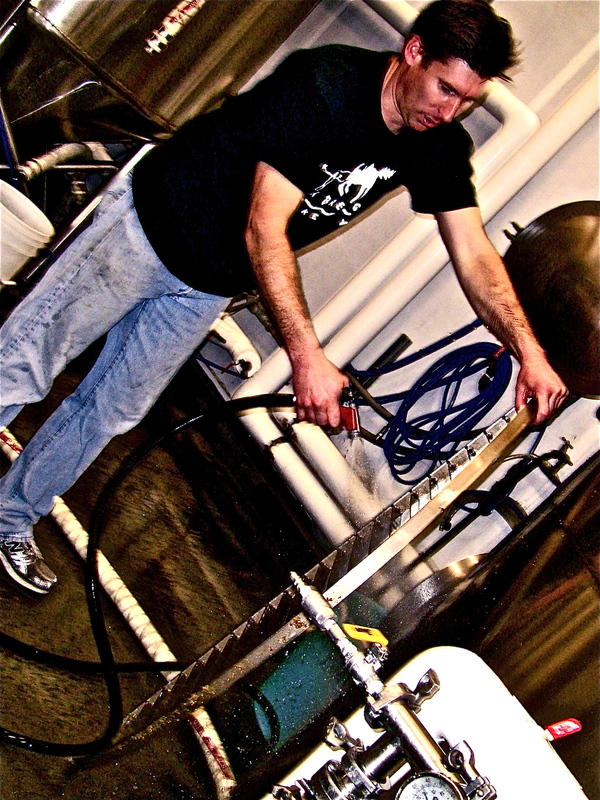 “I created a ‘co-hoperative,’ pooling together organic brewers all over the US, about 12-14 of us. I wanted to show the hop growers what the full demand of organic hops were so they would try to meet that demand.” As the supply of organic hops increased, the NOSB lifted the hops exemption in 2010 such that starting in January 2013, all certified organic beer had to be brewed using organic hops. 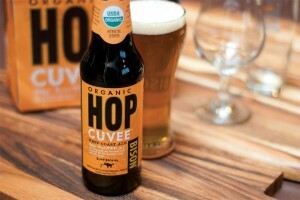 The development of the US organic hop industry has led to a greater variety of organic beers becoming available. The earliest organic beers tended to be malt forward beers like Amber or Brown Ales that worked well with hop varieties like Fuggles, a commonly available organic hop in those early days. Used in classic West Coast beers, organic hop varieties such as Simcoe, Citra, and Cascade—with their great citrus and floral character—are now available to organic brewers. 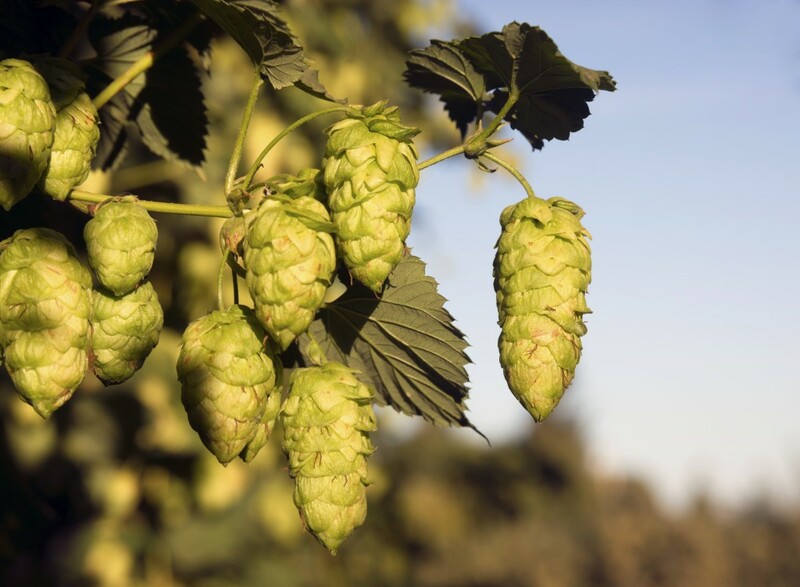 Organic breweries have taken advantage of these new organic hops to create the hop forward beers increasingly craved by the beer drinking public. Today, organic beer can be found at many grocery stores as more organic breweries are coming online. 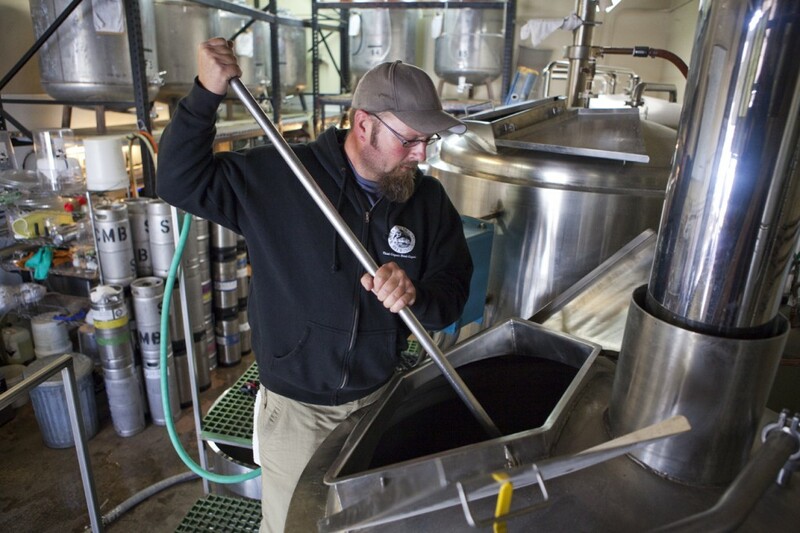 Breweries not exclusively organic are adding an organic beer or two to their line-ups. Organic barley malt is being increasingly used by non-organic breweries, who are either motivated to support the organic movement or simply find it produces a superior product to non-organic malts. As the supply of organic ingredients increases in supply, quality, and variety, the price of organic beer has become competitive with non-organic brews. Changing the world with the beer you drink has never been easier. 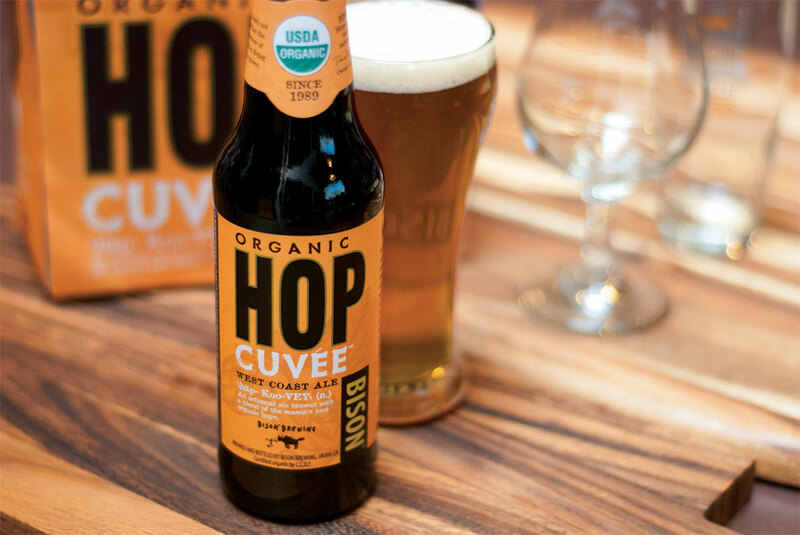 If only 1% of California’s 38 million residents substituted an organic beer for a non-organic one twice a month, it would force the conversion of 1,140 acres of land to organic agriculture, according to figures provided by Bison Brewing. Using data from the USDA on fertilizer and pesticide use in non-organic barley farming, this small change in organic beer consumption would still annually remove 41 tons of Nitrate, 17 tons of Phosphate, 14 tons of Potash, and 12 tons of Sulfur fertilizer from our country’s eco-system, while eliminating over 1.6 tons of pesticides. There’s another aspect that (I hope) is covered by drinking “organic”: most breweries add additivies to their beer or use substances in the filtration processes that are, to say the least, totally unorganic to begin with. They can cause headaches and even vomiting in sensitive people and they certainly are not good for anyone’s health. Just a quick comment. The GMO barley topic takes a backseat (in my opinion) to a much more serious issue at this moment. As I write this comment in 2016 substantial amounts of Glyphosate is present in all U.S. grown grains. Pesticide use right now is a serious issue, even as it applies to organic barley cultivation. The line in the sand for me anyway is that, I in no way, want to be drinking ‘Round-Up Ready craft beer.